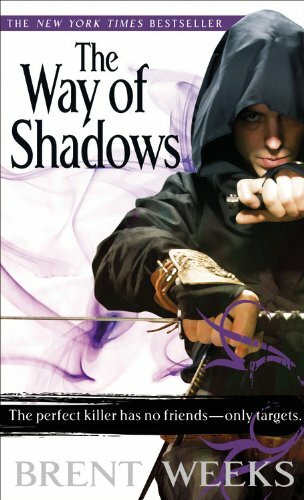 This entry was posted in book review and tagged brent weeks, fantasy, series, trilogy by janicu. Bookmark the permalink. My husband liked the whole trilogy so I have books 2 and 3 waiting for me. But yes, I think that this author makes his characters go through a lot! Let me know what you think of book 2 when you get to it. I am still daunted by the length of these books but I need to get to them. Husband is eying Brent Weeks’ new trilogy too. Lol, yeah I saw he had a new one out 🙂 or coming. This was an enjoyable read. I agree that the first book started off slow, and it was hard to get attached – it even felt like Weeks was just rushing through everything. But the rest of the trilogy is great, I absolutely love the characters! Have you tried the Farseer Trilogy by Robin Hobb? Similar story of a young boy being apprenticed into a life of subterfuge, though Hobb has probably some of the best first-person characterization I’ve ever read. Yes! The Farseer trilogy – loved it! I want to read the Tawny Man series, but the Liveship books – I couldn’t get through them, and I’ve been told I have to read them first because they’re referenced. So this has delayed me getting to the rest of the books. I just have a block on reading the Liveship books for some reason. I own them all too. Was it too slow for you? That’s the main complaint I’ve heard from friends about Liveship. It was the first I read of Hobb’s books, and I really enjoyed switching perspectives back and forth between all the characters. I wasn’t used to so many protagonists that I fell in love with! I think it was a combination of it being too slow and not finding a character I really connected with in it. I got maybe.. 100 pages into the first one. I do want to try again though. Pingback: Angel in the Shadows, Book 1 | I-want-to-buy-a-book.